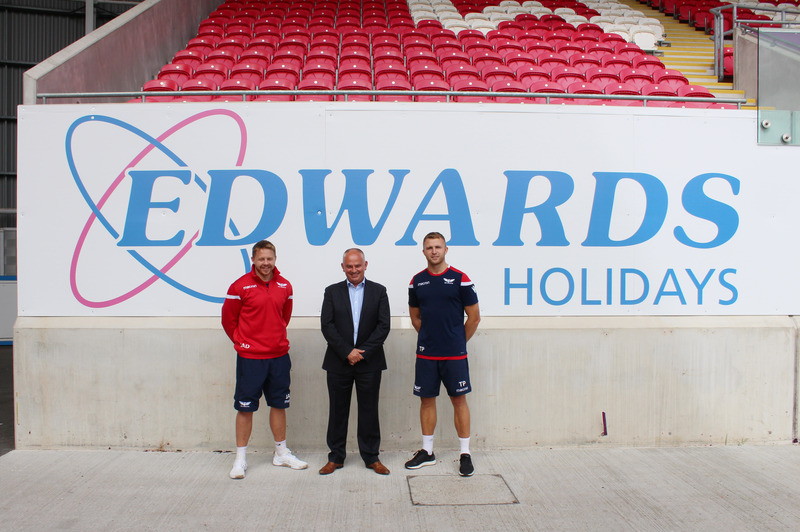 Award winning travel company Edwards announces partnership with Scarlets. Edwards are delighted to support the famous West Wales regional team for the 2018/2019 season by supplying team transport for their upcoming matches. This follows on from Edwards providing numerous coaches in the past for Scarlets’ away games and fan transport. Nathan Brew, Head of Commercial at Scarlets, said; “We have been working closely with Edwards over the last few years and we’re pleased to announce an official partnership with the company. Edwards boasts an extremely busy private hire department that provides coaches for not only local clubs and societies but the Wales rugby and football teams, Cardiff City football club, The British Lions and most of the visiting teams / artists to the Principality Stadium.